The All-Star break is here, but The Voice of the Turtle gets no rest! Sure, we were off last week -- sorry about that, faithful listeners! -- but the Tigers were not, and possibly to their detriment. After sweeping the Tampa Bay Rays in a four-game series over the holiday weekend, the Tigers dropped five of their final seven games prior to the All-Star break, falling 6 1/2 games behind the Cleveland Indians in the AL Central race and four games out of the AL Wild Card. Where does that leave them? Well, that's the overarching theme on this week's episode of The Voice of the Turtle. 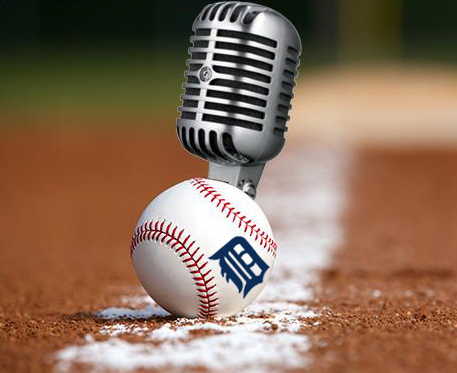 Rob and HookSlide talk about the last week-plus of Tigers baseball and the cavalcade of injuries that made that stretch so bad, as well as what the Tigers need to do after the All-Star break to stay in contention. And then, they tackle the biggest question of them all: buy or sell? The Tigers are in no-man's land right now when it comes to their trade deadline decision-making process, and either direction will have major ramifications on the franchise over the next few years. That's not all, though! There are prospects to be found in this system, and we're committed to keeping tabs on them. So committed, in fact, that Rob and Hookslide are joined by Emily Waldon of 2080 Baseball to talk about the state of the Tigers' farm system, who the up-and-coming players are, and just when the **** the Tigers are finally going to call up Joe Jimenez. Emily sticks around to help answer a few listener questions too, which is always the best part of the show! - Buy or sell? Where do the Tigers stand? - Does Mark Lowe deserve another chance with the Tigers? - Is Anthony Gose done as a Tiger? - When will Joe Jimenez get called up? 2:00 - Rounding the Bases: how did this get worse? 1:36:04 - The 7th Inning Kvetch: hope for the future?